The silence is deafening at a chess tournament, as I discovered yesterday at Chez Dubé, where the Alberta Women's Championship and Fort McMurray Open were taking place. Guests of the tournaments were actively chatting and unwinding on the main level of Fort McMurray's iconic bed and breakfast, turned chess emporium, but down a flight of stairs into the main recreation room it was a completely different story. By my count there were eight games going on when I walked into the space, careful not to make any noise, as it was clear that this was a quiet zone. "Did you shut it off?" 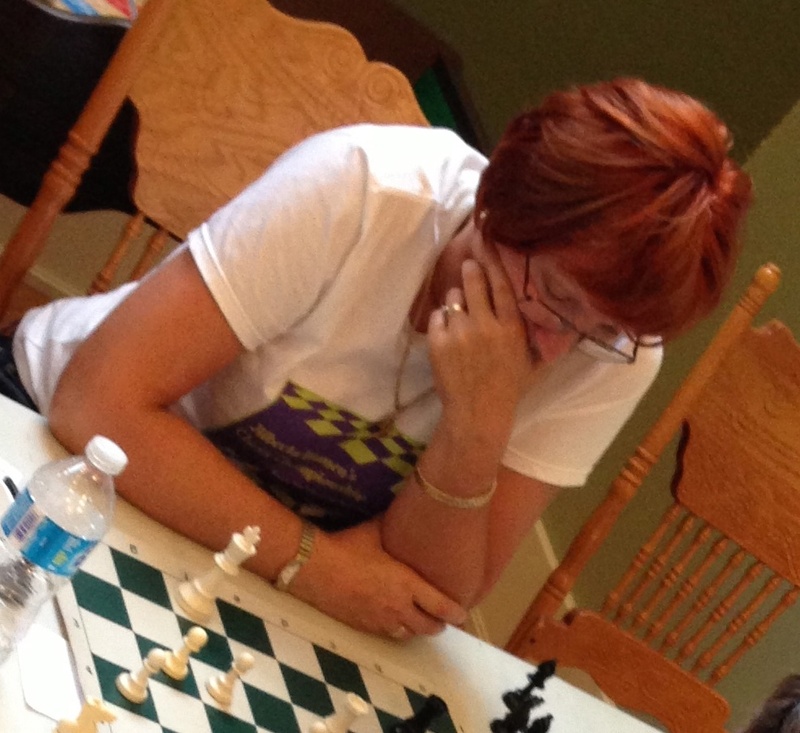 asked Margie Cunningham, one of the players and a member of the Fort McMurray Chess Club, indicating to my iPhone, which I was busy on, writing my first of several tweets. I watched for a few minutes, struck by the absolute intensity and stillness as the players ran through long sequences of moves in their minds, trying to arrive at that brilliant strategy that would put them in a position of destroying their competition. Move finally made, they hit the timer and quickly scribbled down the move they had made on the game sheet that records the blow by blow of the match. Bill, one of the local players, was kind enough to answer a few questions I had about what I was seeing and what it all meant. He talked about the role of the timer, and the complex rules that govern the length of the game. He also brought me up to speed on the way the game board is mapped out, with the columns (files) from the white's perspective being A to H, from left to right, and rows (ranks) being 1 to 8. 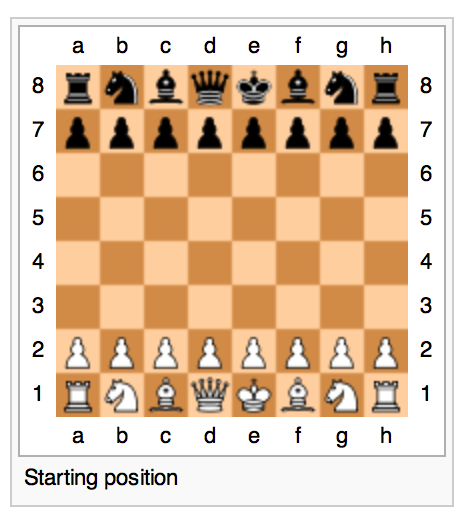 Rooks are R, Knights are N, Kings are K, Queens are Q and so on. He shared with me some of the nuances of the game, including a move called "Castling", that provides an effective way to protect your King. I vaguely remembered that one from my childhood, as my brother Keith employed that tactic almost every game. He tried to describe a lesser know ploy called En passant, which is too hard to explain, but worth looking up, as it could come in quite handy. I sat next to a young player from Calgary as we were getting ready for the closing ceremonies to begin. She was pointed out to me as being one of the best players in Alberta, if not all of Canada, a mere 16 years of age. A very bright and articulate young lady, versant in four languages, Ukrainian, Russian, French and English - she was born in Ukraine - I put her chess brain to the test. "So, the game sheet that you're holding in your hand," I began. "If I was to take that from you, would you be able to recall this game for memory, from beginning to end." "Yes," she said, without a moment's hesitation. Congratulations to Jina Burn and her growing rank and file of chess players, young and old, who have very quickly created a thriving community of players doing exceptional on the provincial scene and having a lot of fun in the process. 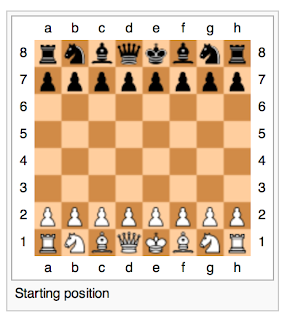 Yes, chess, while intellectually challenging, is fun. The collegiality and commitment of the folks gathered for these two concurrent events was striking. 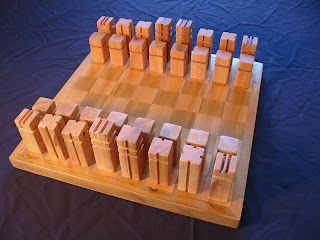 It makes me want to dust off the chess set I built a couple of years ago and take it for a spin.